Here are Dell I7588-7378BLK-PUS drivers for Windows 10 64 bit you can download and install to get your laptop work properly. Dell G7 15 7588-7378BLK-PUS is 15.6-inches gaming laptop powered by 8th Gen 2.2 GHz Intel Core i7-8750H six-core mobile processor and NVIDIA GeForce GTX 1060 with Max-Q Design (6GB GDDR5 dedicated video memory). 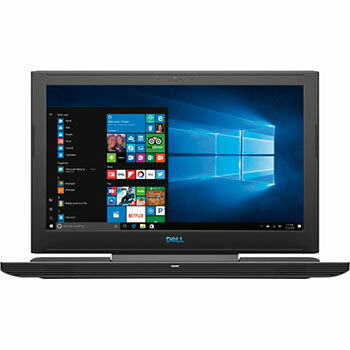 This Dell G7 15 I7588-7378BLK-PUS comes with 16 GB DDR4 SDRAM 2666 MHz memory and 1TB hard drive plus 128GB solid-state drive to store your documents. This powerful mobile computer features HDMI port, Wireless-AC Wi-Fi, Bluetooth, HD web camera, multi format card reader, USB 3.1 Type C, HDMI, stereo speakers with MaxxAudio audio technology, fingerprint, and 4-cell Lithium-ion battery.